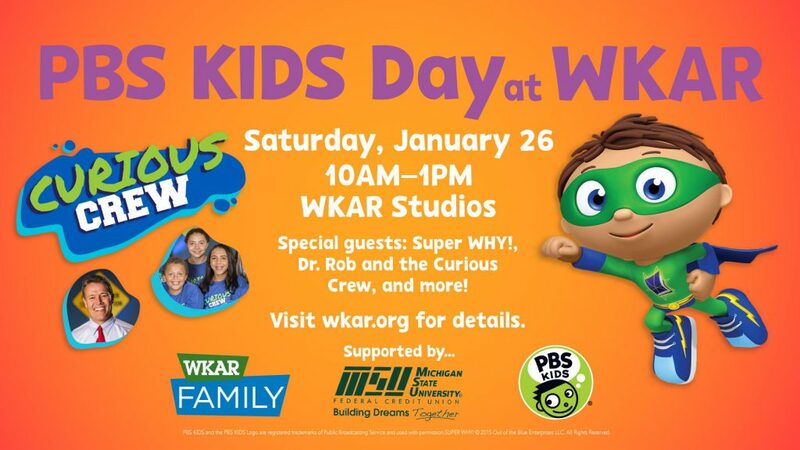 The event will feature hands-on activities for kids, resources for parents, and a visit from Super WHY! Families will also get to experience a live Curious Crew demonstration with Dr. Rob, as well as opportunities to participate in investigations. The event hosts over twenty community partners and activity tables. Don’t miss this fun day with your family! Parking is free in the adjacent Trowbridge Road parking ramp and nearby lots.